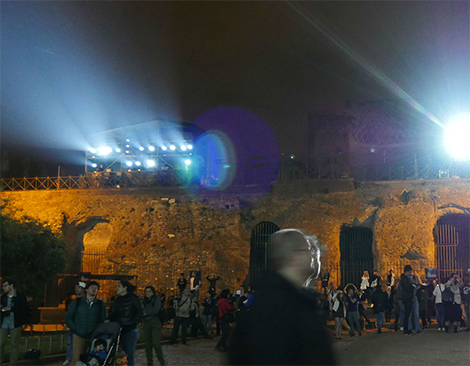 "This is a very high profile event for the whole team and it was such a personal honour to be asked to create a lighting show on the surface of one of the most iconic structures in the world, so it was reassuring to know that the projection technology was going to help make this a success"
A compact body with high 20,000 lm of brightness and superb picture quality. The Geometric Adjustment function for seamlessly edge-blended images on an intricate facade. The special ten minute programme was free to attend and took place over three nights in May 2016. 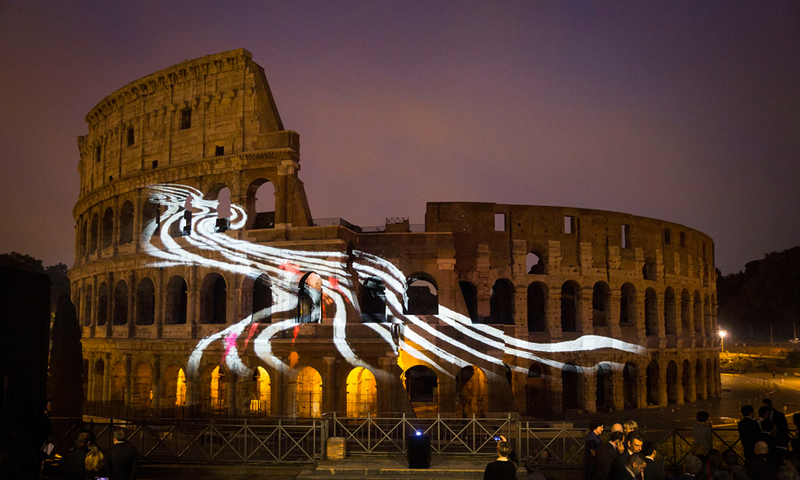 It started with a dynamic, dramatic light performance spread across the facade of the Colosseum, followed by an original animation, using ink drawings created by Akari-Lisa Ishii, telling a story of love. 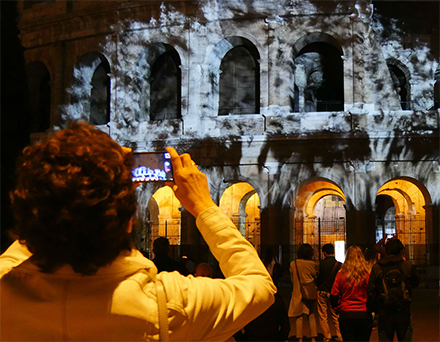 It is the first time that a suibokuga (traditional Japanese monochromatic brush and ink drawing technique), has been transformed into a light projection and applied to the facade of a World Heritage site. 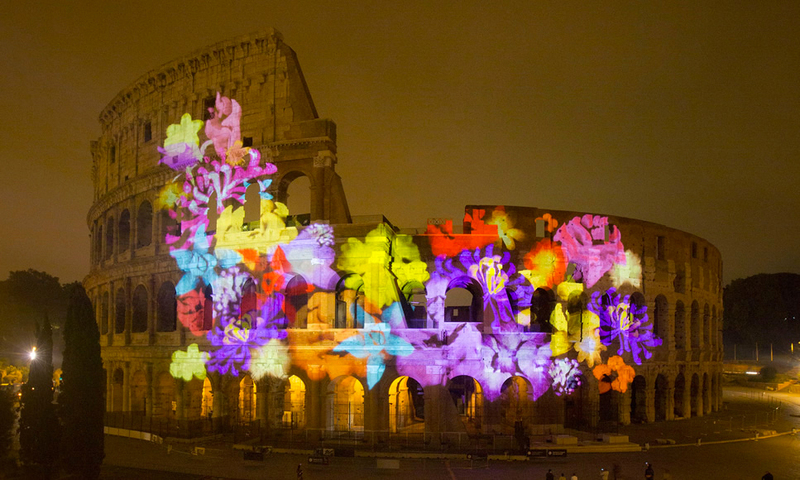 In total, nine Panasonic PT-DZ21K2 Evo projectors were used to create a high brightness projection capable of filling the giant ancient canvas. Featuring 20,000 lumens of brightness and a host of rich creative capabilities, the projector is packed into an extraordinarily compact body. 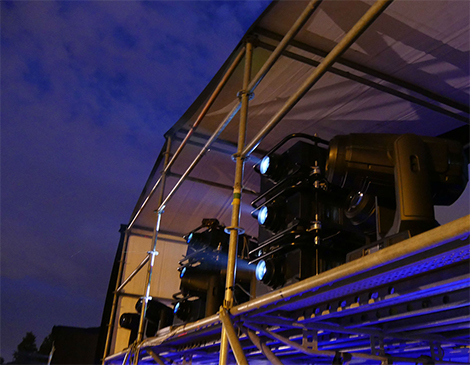 With the PT-DZ21K2 Evo, every feature is designed and developed to meet the needs of highly critical projection professionals. The Evo is the updated version of the PT-DZ21K Series, which has been used extensively in the rental and staging industry Europe-wide. 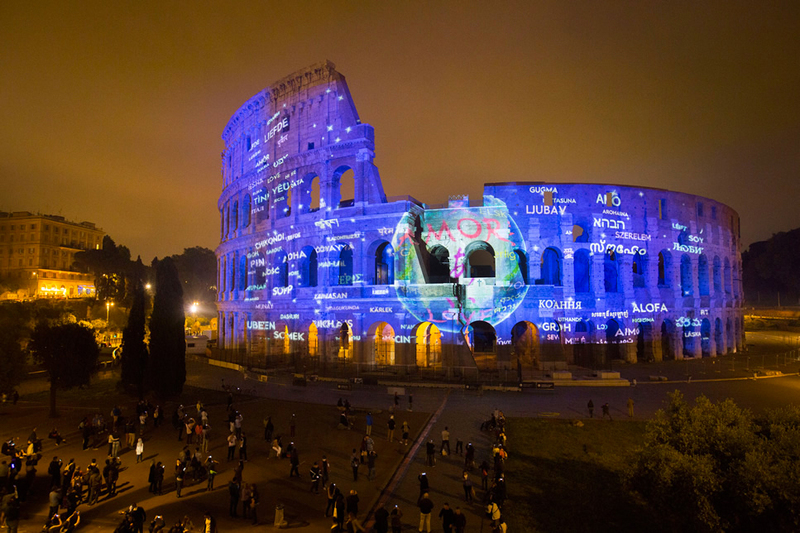 The projector was used most recently at the Circle of Light Festival in Moscow, when 142 projectors were used to create a Guinness World Record for the largest projected image. "Because the DZ21K2 has a four lamp system, we knew that there was inbuilt redundancy." 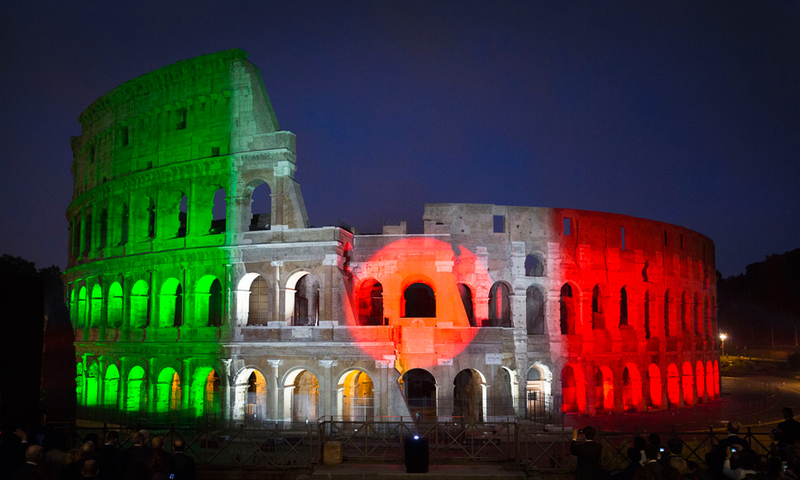 The projectors and AV equipment were supplied by STS Communication in Milan. 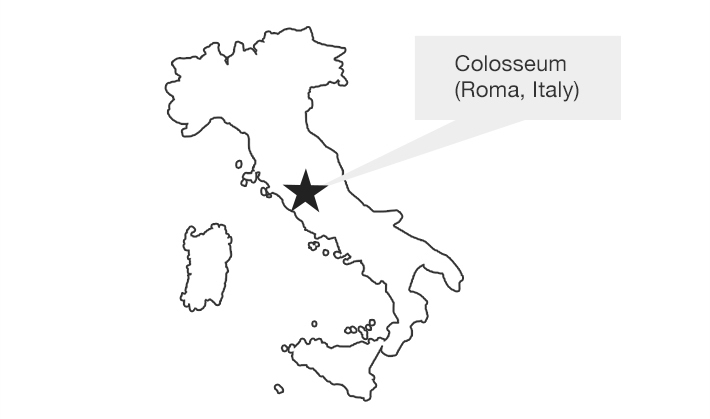 Sabrina Miali, Account Manager, said, "The brightness of the projector was important in order to cover the distance between the Colosseum and Foro Romano, and because there was a lot of ambient light in the area. 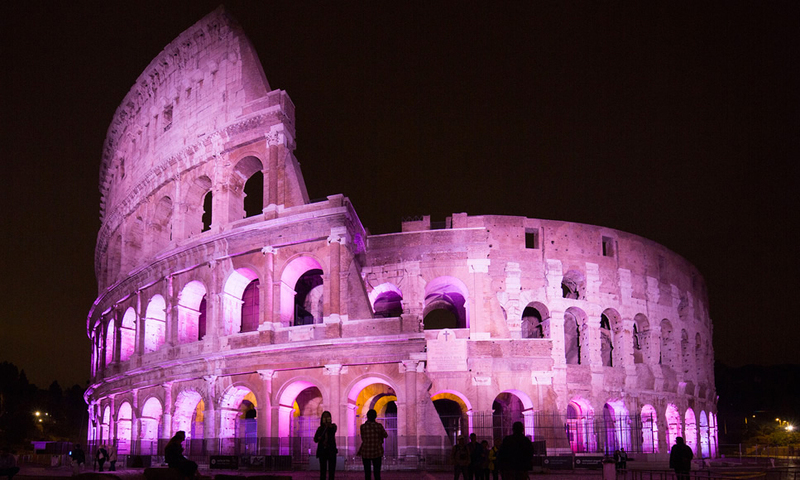 The compact, light-weight nature of the projectors was important as we were installing them in a very high profile ancient site, so avoiding the use of machinery like cranes or forklifts was preferred." "And finally, because the DZ21K2 has a four lamp system, we knew that there was inbuilt redundancy, so that even if a lamp blew during the performance, the show could still continue without the audience noticing," added Sabrina Miali. Akari-Lisa Ishii, Lighting Designer Principal of I.C.O.N., said, "We tested a single projector two weeks before the event started. I was delighted and pleasantly surprised with just how bright the image we got from just a single projector was." 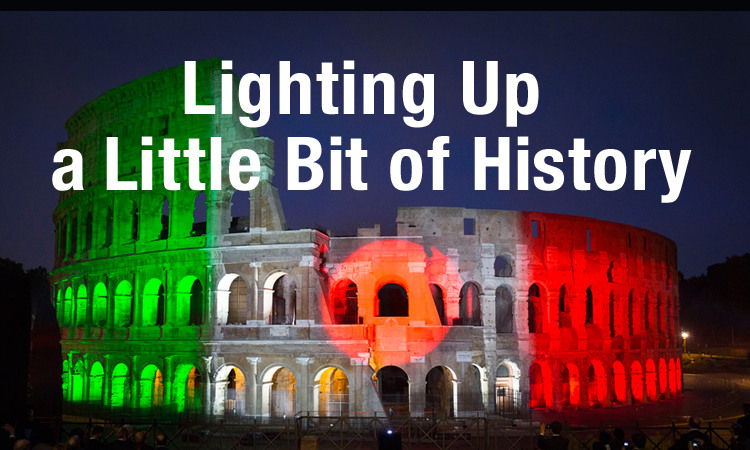 "This is a very high profile event for the whole team and it was such a personal honour to be asked to create a lighting show on the surface of one of the most iconic structures in the world, so it was reassuring to know that the projection technology was going to help make this a success."